We are proud to have established a reputation as the leading independent supplier of Bulk LPG to the North West of England. Here is a brief overview of how we are best placed to provide a reliable LPG supply service at competitive LPG prices to homes and businesses in the North West. Our head office and primary LPG supply depot is based in Preston, Lancashire having relocated from Blackpool in September 2013. It is ideally situated for quicker access to the North West’s motorway network allowing us greater efficiency and to expand our reach throughout the North West. As a result we look forward to continued growth in Cumbria, Lancashire, West Yorkshire, Cheshire, Merseyside, and Greater Manchester as we enhance our reputation as the leading independent LPG supplier to homes and businesses in the North West and beyond. We are also in the process of opening a LPG supply depot in Penrith, Cumbria. As such we are ideally situated to provide the most competitive, local and reliable LPG delivery service to homes and businesses in Cumbria and West Yorkshire. Vast areas of Cumbria and West Yorkshire are not served by mains gas due the rural and rugged landscape so homes and businesses rely on LPG for heating, hot water, cooking, commercial and industrial processes. We already have a significant presence in the area and look forward to building on this success. In addition we have based LPG tankers and drivers in Ellesmere Port, Cheshire as a result of significant growth in our commercial and domestic LPG customers in Cheshire, Staffordshire, Shropshire, Gloucestershire and Denbighshire, Flintshire, Powys, Conwy in North and Mid Wales. Distributing LPG directly from the heart of Cheshire has helped us to ensure that our LPG delivery service to the area is efficient and reliable. Is your county or town NOT mentioned above? 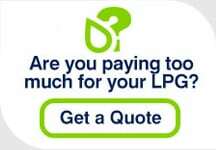 We are a growing and ambitious LPG supplier continually expanding our reach so please do not be deterred. Simply call us to ask if we are in your area – if not we will keep hold of your contact details and let you know when we are supplying LPG to your area.